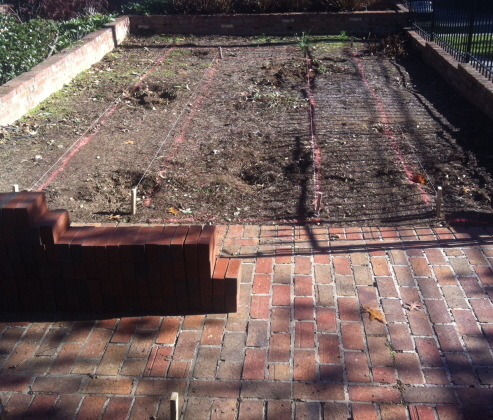 D’Ann’s Garden—Raised beds with brick borders to grow perennials – Johntheplantman's stories, musings, and gardening. My friend D’Ann loves gardening. She is good at it too, and she doesn’t mind getting a little dirt under her fingernails. I had built some raised beds for her back yard a few years ago and was impressed with the way in which she planted them and kept them up. Her front yard needed help, though. I think raised compost beds with brick borders are really classy but the big thing about these beds is that they really work. I also like the look and workability of brick borders and pea gravel pathways so that’s where I was going. 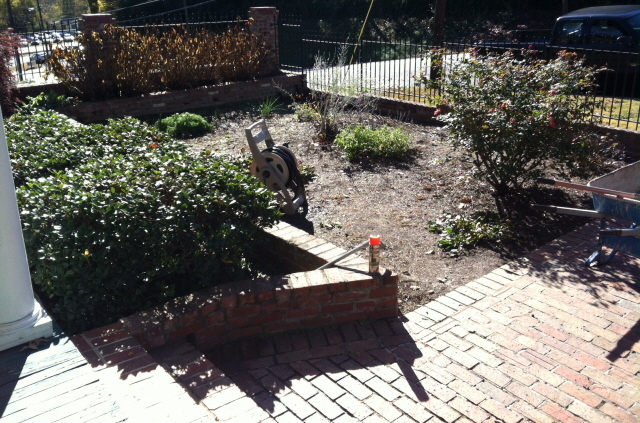 (By the way, if you go to buy bricks for something like this, ask for ‘pavers’ because they don’t have holes in them). I had spent a lot of time getting the twine in just the right place and that helped the job to get off to a good start. Mike Hutchins produces certified compost up in Menlo, Georgia and he brings it to me in ten cubic yard loads. I stockpile it at my stockpiling place and then haul it to the job with a pickup truck. Sometimes we can dump a load on the job but in an uptown city yard like this one I don’t want the clean up job that would go with that. We wheelbarrow the compost into the beds and rake it out carefully. When the job is finished the compost and pea gravel will team up to hold the bricks firmly in place. 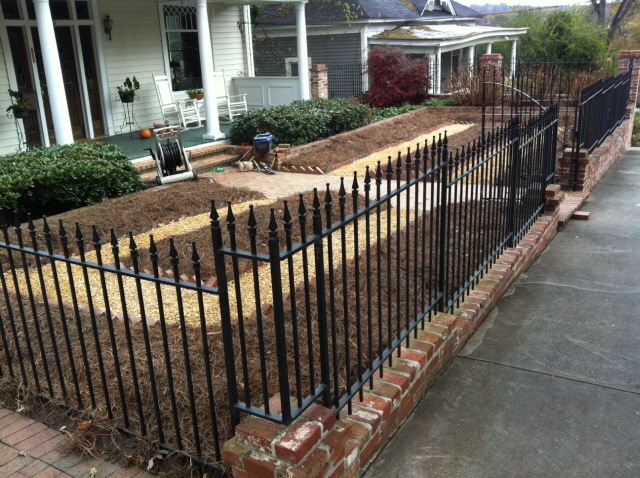 A raised compost flower bed provides for the best plants ever. 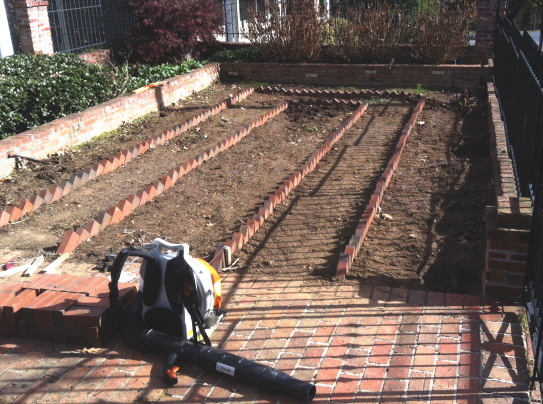 To get ready for the gravel walkways, I used a flat shovel to turn the existing walkway into an efficient border. 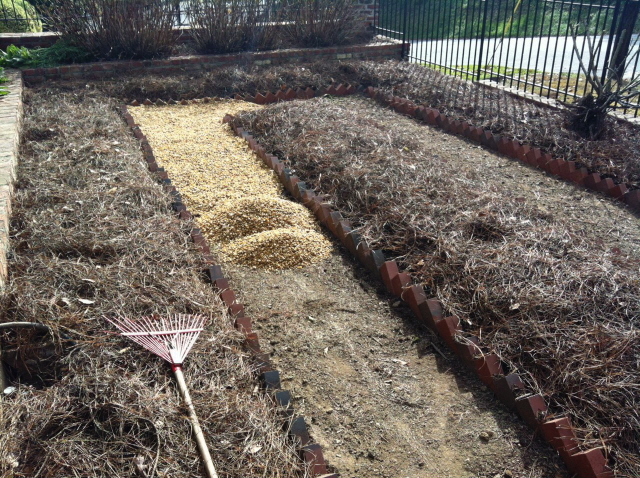 We raked out the compost, spread pine straw for mulch, and raked all of the trash out of the walkway beds before moving in the pea gravel. 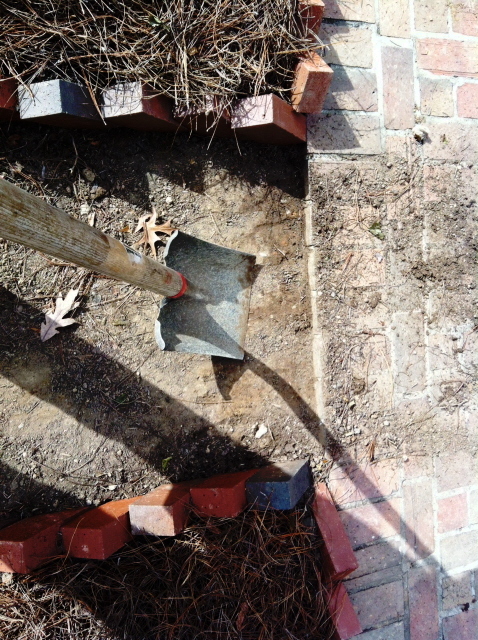 This was a job performed carefully with a wheelbarrow and a rake. Pea gravel makes a wonderful pathway and it never gets muddy. 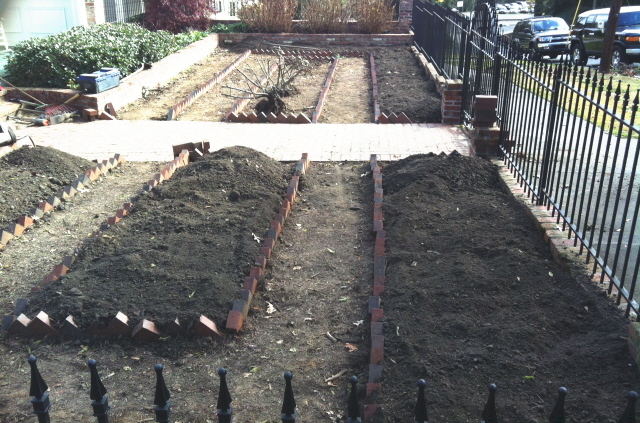 Here’s a picture of the finished beds ready to plant. This garden should add joy and beauty to a distinctive home. As the planting proceeds the plan is to put climbing roses on portions of he fence and to use such perennials as lantanas, daisies, yarrow, and others for accents. Lots of bulbs, from daffodils to amaryllis and a few paint strokes of annual flowers will keep things interesting. And remember, there will be no grass to cut in this front yard. Thanks for visiting John the Plant Man. 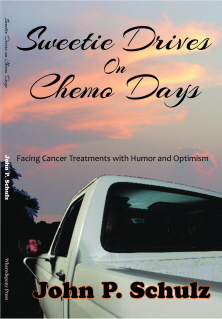 Remember the next time you want a good read you need to try “REQUIEM FOR A REDNECK”, a kindle ebook from Amazon that features John the plant man with his Georgia mountain friends. It’s quite the adventure. Turned out great. Hope you’ll update us sometime to see the progress. I will be interested in seeing this as the flowers grow. Please add some calla lilies to your bulb collection. This is a beautiful layout! John, that garden is really nice. Do you have pictures of blooming plants in it yet? Pingback: Hanging Baskets, Window Boxes, Raised Flower Beds, Progress Report | Johntheplantman's stories, musings, and gardening. Reblogged this on Johntheplantman's stories, musings, and gardening..